Due to a variety of reasons, some countries consume less meat than others. Meat consumption levels vary between countries. The high consumption of meat is causing harm to the health of many individuals. Countries which consume the most amount of meat include the USA, Australia, and Kuwait. These countries consume 120 kg, 115 kg, and 119.2 kg per person each year respectively. Such large amounts of meat consumption have contributed to the high rates of obesity in these nations. The least meat consuming countries include Bangladesh, India, and Burundi. They consume 4 kg, 4.4 kg, and 5.2 kg per person annually. Bangladesh is the least meat consuming country in the world. Many countries who consume the least amount of meat can be found in Africa. Among the first 10 countries listed as the least meat consumers, seven of them are based in the African content. They include Burundi, Rwanda, Sierra Leone, Eritrea, Mozambique, Gambia, and Malawi. Most African nations have low meat consumption because most of their meals are plant-based. Consequently, these countries have low rates of obesity. In addition, some countries in Asia also appear in the less meat consuming list. Such states include India which is largely made up of vegetarians. India’s population is made up of the highest number of vegetarians in the entire world. Other Asian states who consume less meat are Sri Lanka, Nepal, North Korea, and Indonesia. Less consumption of meat minimizes the likelihood of heart disease, type 2 diabetes, obesity, and certain types of cancer. In fact, according to the National Health and Nutrition Examination Survey carried out between 2009 and 2010, 2 out of 3 Americans are obese. It has also been observed that a reduction in meat consumption reduces the effects of global warming. In the past, the challenge in the food system has been the “hunger challenge”. However, this is shifting with the challenge of dealing with excessive weight and obesity. As a result, the future is focused on encouraging people to engage in healthy feeding patterns that ensure balanced diets which are more plant-based than animal-based. It is common to observe individuals reduce their meat consumption. The Paris climate agreement is poised on maintaining climate change at 2 degrees Celsius. As a result, it is recommended that production of green-house intensive foods such as meat should be reduced. In lieu of consuming meat, countries could encourage their citizens to consume healthy plant-based foods such as mushrooms, jack fruits, eggplant, lentils, and beans and legumes. 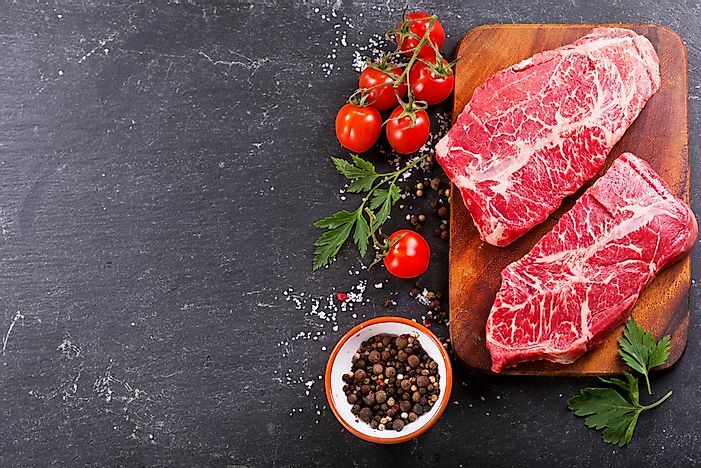 In a bid to reduce meat consumption in their nations, states such as Denmark intend to increase taxes placed on red meat. It is expected that more countries will come up with legislations like that of Denmark in an effort to minimize the present high meat consumption.